Scotland's new national transport agency will be responsible for a GBP 3bn programme of investment including new rail and road links, Transport Minister Tavish Scott announced this week. Giving details of the role of Transport Scotland, which officially came into operation on January 1, Scott said it would be the key to delivering Scotland's devolved transport priorities for the future. Planned projects include a GBP 150m refurbishment of Edinburgh's Waverley Station and, a GBP 160m rail link between Glasgow airport and the city centre. A draft Bill for the provision of the link was submitted to the Scottish Parliament this week. Transport Scotland is a new executive agency and, as part of the Scottish Executive's enterprise, transport and lifelong learning department, is directly accountable to ministers. Its responsibilities include the management of Scotland's trunk road and railway systems and helping to develop a national transport strategy. The agency gives Scotland unprecedented control over railway operators and expenditure. 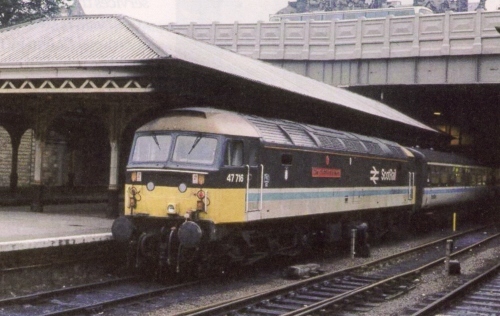 Responsibility for railways was not among the powers initially devolved to the Scottish Executive and Parliament in 1999. Transport Scotland chief executive Malcolm Reed said: 'We have an ambitious and challenging programme ahead and I am confident that with the resources we now have available we can deliver. The Labour-led Convention of Scottish Local Authorities initially resisted the creation of a national agency, fearing that it would remove powers from local government. However, a Cosla spokesman told Public Finance that it looked forward to working with the new agency to improve transport infrastructure, particularly rail travel. 'Cosla has long maintained that power over railways in Scotland should rest in Scotland,' he said.